Powerful vibes from start to finish this week, family! During this week’s show we feature music from Noel Ellis, Junior Reid, Carlton Livingston, Mikey Dread, Dennis Brown, Sugar Minott, Leroy Smart, Johnny Clarke, Cornell Campbell, The Sons of Jah, The Eagles, Burning Spear, Culture, The Viceroys, Bobby Melody, The Lovejoys, Jerry Johnson and Sugar Minott, Max Romeo and Tribu Acoustica, Glen Washington, Dre Island, Positive, Sizzla, Teflon, Singing Sweet, Puma Ptah, Naptali, Irie Souljah, Treesha, Papa Michigan, Super Cat, Garnett Silk, Marcia Griffiths and Beres Hammond, Richie Stephens and Gentleman, Monty Alexander and Dr. Silk Asara. 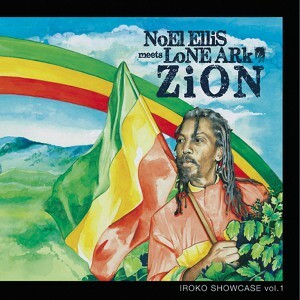 This entry was posted on December 15, 2015 at 9:49 pm and is filed under Downloads, Podcasts, Radio Shows with tags 2015 Reggae Podcast, Africa Reggae Podcast, Dennis Brown Radio, gospel reggae podcast, gospel reggae radio, Mikey Dread Radio, Nigeria Reggae Radio, Noel Ellis Zion, One Love Radio, Rasta Podcast, Rasta Radio, Rastafari Podcast, Rastafari Radio, Reggae Podcast, Roots Reggae Podcast, Singing Sweet Radio. You can follow any responses to this entry through the RSS 2.0 feed. You can leave a response, or trackback from your own site.